Individual State Wrestling Champion – 1962, 1963, 1964. Varsity Letter Winner (Defensive Tackle) – 1966, 1967. Played in North-South Shrine Game – 1967. Big Ten Heavyweight Champion – 1966, 1967. 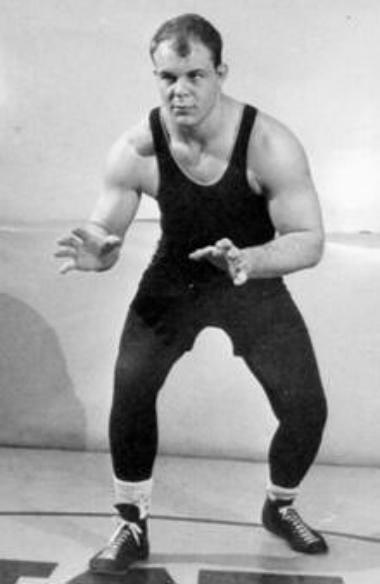 Big Ten Outstanding Wrestler – 1967. NCAA Heavyweight Champion – 1966, 1968. NCAA All-American – 1966, 1967, 1968. NCAA Team Runner-Up – 1967. Wrestled in first two NWCA All-Star Classic competitions – 1967, 1968. 51-3 collegiate record, .944 winning percentage is best in Wolverines’ history. Inducted into the Michigan Hall of Honor – 1985.
compete in the 1968 Summer Olympics wrestling competition. However, Porter tore a tendon and never played in an NFL game. Porter became a teacher and coach at Grand Ledge High School in 1970, where he remained until his retirement in 2005. Inducted into the Michigan Chapter of the National Wrestling Hall of Fame – 2010. Inducted into the Michigan Wrestling Association Hall of Fame – 1986.